A trace mineral which speeds recovery time, Elites immune system function, and improves overall physical health, Zinc is commonly found in foods such as nuts and seeds, and some shellfish. 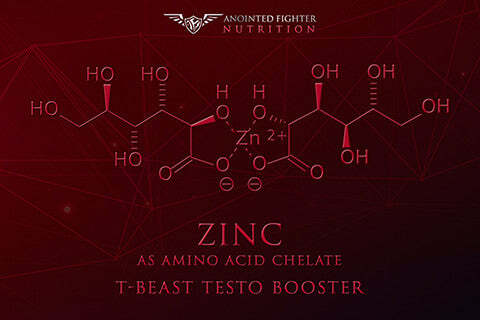 Zinc as an amino acid chelate (AAC) is far more readily absorbed by the body than other more commonly available zinc supplements such as zinc oxide. Passing through cell membranes easily, zinc AAC Elites healthy mineral levels in the cells. This helps with muscle growth and repair, while aiding in nutrient absorption and reducing fatigue. 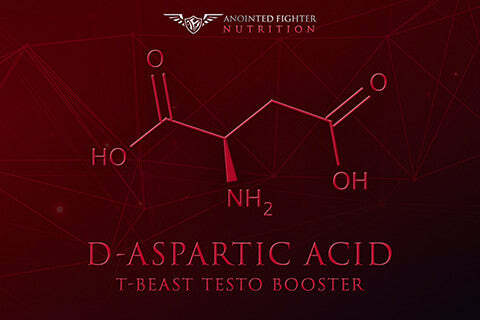 D Aspartic Acid is an essential amino acid, found naturally in the human body to Elite testosterone. Considered a “building block of life,” this clinically effective ingredient aids in building muscle and cutting fat. 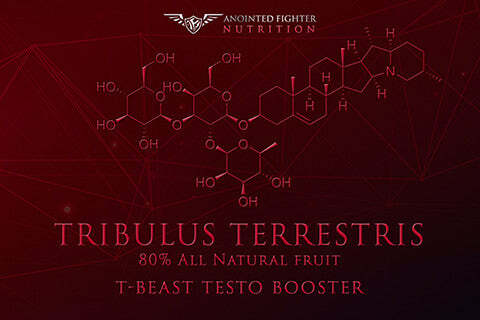 Tribulus Terrestris Elites overall testosterone levels, promoting lean mass build. T. Terrestris also triggers the release of nitric oxide, expanding blood vessels to deliver oxygen to muscles during a workout. 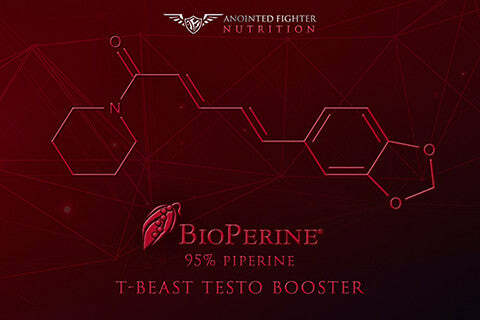 Commonly used as a pre-workout supplement, T. Terrestris is a safe, all-natural compound which promotes fat loss while increasing strength levels. Also commonly known as Malaysian Ginseng or Longjack, Eurycoma Longifolia root is an effective and natural suppliment indigenous to Southeast Asia. 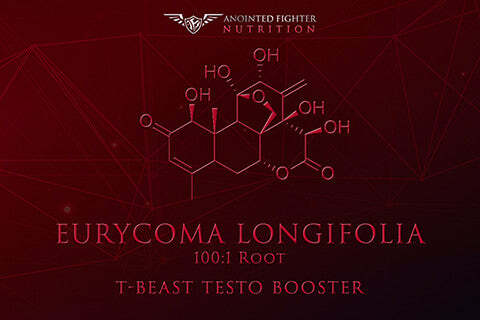 Used for centuries as an herbal supplement with medicinal properties, E. Longifolia is commonly used in body building supplements to increase physical strength and testosterone while reducing lipid buildup and body fat levels. Longjack is also used to improve the body’s resistance to stress and support greater physical well being, with reported adaptogenic effects. Fenugreek seed extract has an extended history of traditional medicinal use. Fenugreek supplements are known as a powerful antioxidant and antimicrobial agent, which reduces inflammation in the body. This all-natural natural ingredient also works to improve digestive health, lower cholesterol levels, increase testosterone and improve physical performance. Fenugreek has been shown to promote creatine uptake and reduce the need for simple carbohydrates, while maintaining high levels of energy. A trace mineral which is required by the body for healthy brain function, bone health and mental alertness, Boron is commonly found in foods such as nuts, raisins, and legumes. 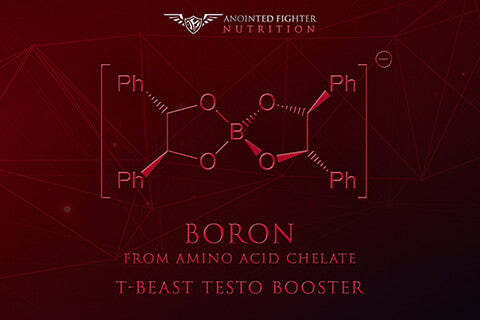 Boron as an amino acid chelate (AAC) is far more readily absorbed by the body than other more commonly available boron supplements. Passing through cell membranes easily, Boron AAC Elites healthy mineral levels in the cells. 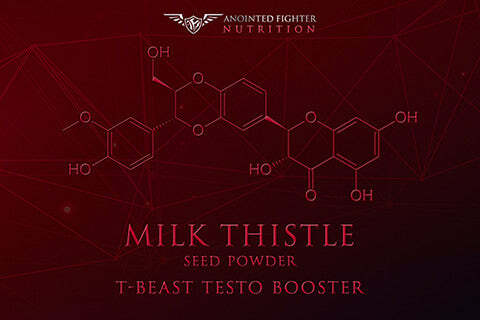 This helps with muscle growth and repair, while Eliteing bone health when compared to those with lower levels of boron. Damiana leaves are known for their antioxidant and therapeutic benefits - with a number of flavonoids which have been used to treat anxiety, stress and fatigue. Damiana is reported to produce a mild euphoric effect, and has been proven to calm the nervous system in moderate doses. 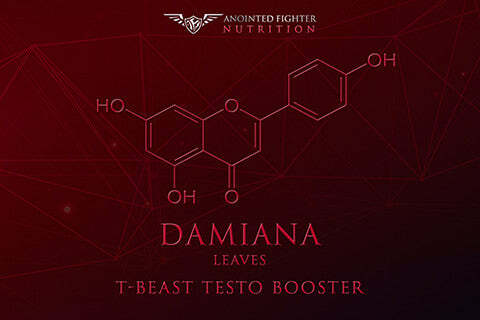 In combination with other herbal remedies, Damiana can also provide thermogenic effects, improve digestion, and suppress the appetite, making this all-natural supplement a helpful weight loss aid. A perennial plant found in tropical India, Thailand and Nepal, Coleus Forskohlii has been used traditionally to promote lung function, heart health, digestion and to support weight loss. It is often used by bodybuilders improve their lean muscle to body fat ratio. Studies with Coleus Forskohlii root extract have shown the supplement to reduce body weight and blood pressure and improve respiratory function. Coleus Forskohlii extract also has reported antioxidant effects. 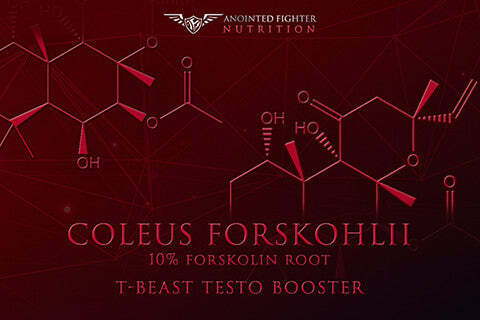 Coleus Forskohlii Elites thyroid function and lipolysis while promoting energy, stamina and concentration. As an effective appetite suppressant and weight loss aid, this extract is also great for improving cognitive function. 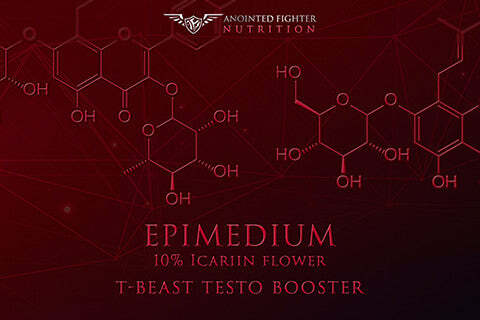 Icariin is an active component of the Epimedium plant, also known as “Horny Goat Weed” for its effects on improving testosterone levels. Icariin flavonoids have been shown to improve speed, endurance and physical ability during high intensity exercise. As an energy Eliteer, Epimedium can help your body produce the necessary hormones to prevent adrenal exhaustion and fatigue. Standardized to 10% Icariin, our Epimedium formula helps develop leaner muscle mass, maintain blood flow and improve NO levels. Silybum marianum, or Milk Thistle seed, has been used for centuries as a natural medicine for its cleansing effects, removing toxins from the body (notably the liver and gall bladder). Milk thistle has also been shown to lower blood pressure. The restorative effects of S. marianum are widely reported, as Milk Thistle seed has been shown to lower cholesterol, improve skin health and assist with glycemic control. An all-natural palm native to North America, the Saw Palmetto fruit can improve kidney and prostate health, while promoting muscle development and increasing testosterone levels in the body. 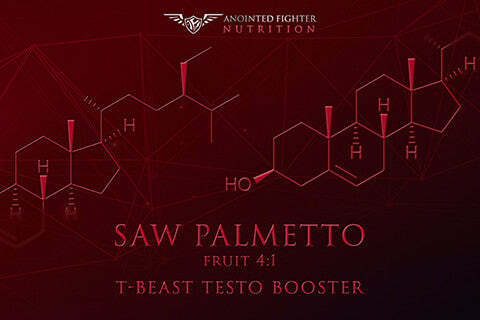 As a supplement, saw palmetto fruit has been shown to benefit immune health and even stimulate hair growth. Saw Palmetto supplements may function as an effective anti-inflammatory - for maintaining peak physical health during intense workouts. Considered around the world as the “King of Spices,” black pepper contains Piperine, a spicy compound which enhances the bioavailability of of various nutrients. BioPerine® is a patented piperine extract to a standardized minimum of 95% Piperine. This naturally extracted supplement has been used for over 20 years, and found to enhance absorption of nutrients by 30% or more. Compared to black pepper, the BioPerine® purified extract of Piperine is the most effective way to increase the absorption of nutrients.